Item Description: 8 x 10 inch medium size modern plaque with 5 inch antique brass rising star. Mounted on genuine walnut board. Comes with black and gold engraving plate. 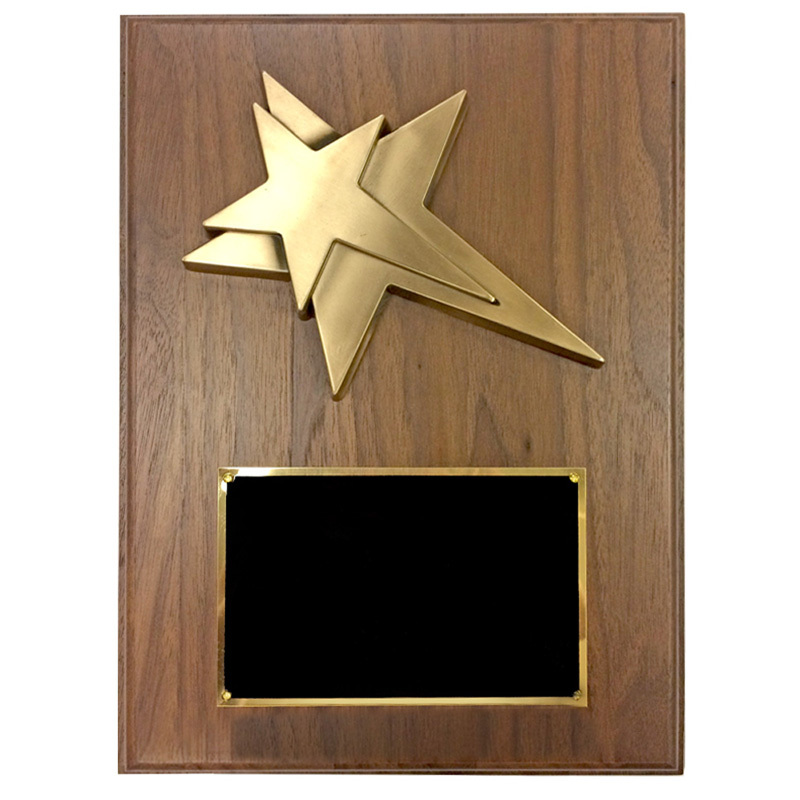 Engraving Options: The plate can be laser engraved with either text or logo for an additional price. Enter engraving in the text boxes provided or upload your own file with logo or text copies via Upload Artwork File/Engraving link. You must be logged in with your Dealer Password to purchase this item and add engraving options.